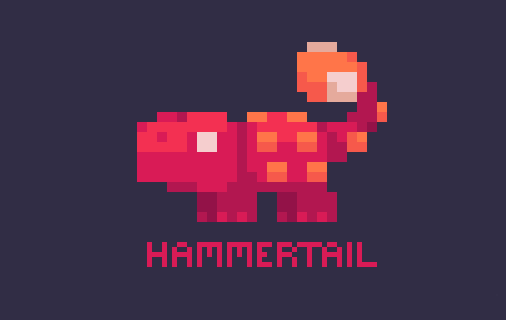 Hi I'm Ted Martens and this is my company, Hammertail. I'm the pixel artist and animator of Crypt of the NecroDancer. Co-creator of Hexels (v1.0 - 1.2). Creator of Pixel Fireplace. My next game is a racing adventure (CarPG??) called Derbytown, and I'm co-making another game called The Aardvark & The Manatee.